Our philosophy in dealing with our clients, vendors, and subcontractors is very simple: "We treat others the way we would like to be treated". We are a small contracting company and have worked solely on remodeling projects since 2000. A vast majority of our jobs come from referrals, and our goal is to make you another satisfied customer who will be anxious to refer us to your friends. We understand that your home is your sanctuary, that remodeling is a major investment as well as a major event in your life, and that the thought of it alone can be overwhelming. Our goal is to make the process as efficient, seamless and pleasant for you as possible, and for the results to be everything you have envisioned. We do this by concentrating on great communication from start to finish, putting our experience and expertise to work from the big picture down to the smallest details, using only trusted licensed subcontractors, and by making the billing process very clear to you from the start. We specialize in custom kitchens, bathrooms, and basements. As well as additions and renovations. For more than 30 years Norcross Supply has been a leading supplier of quality cedar and cypress lumber for the greater Atlanta area. Our customers are golden, and we strive daily to exceed their expectations. If your construction calls for premium cedar and cypress materials,you can be confident that lumber from Norcross Supply will make it a success. Aztec Stone Empire was founded by Daniel Rojas in Norcross, Georgia in 2002. Aztec Stone serves both contractors and home owners in metro Atlanta and surrounding communities. From day one, our goal has been to offer a quality product at an affordable price. We are proud to have a staff of knowledgeable, creative, and service minded associates that are ready to take care of all your natural stone, landscape and masonry needs. A former stone mason and stone salesman, Daniel knows in detail what is best for each unique hardscape project. His knowledge ensures that professional stone installers are providing their clients with the best quality stone products. Daniel has worked with homeowners, guiding them through the entire process of choosing the best hardscape solution for their property. 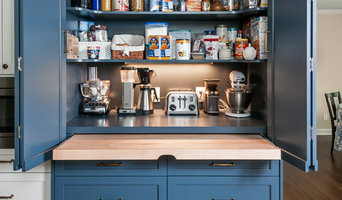 organized simplicity is an Atlanta based home and small business organizing company specializing in decluttering, editing, and establishing organizing systems in the home and workplace. 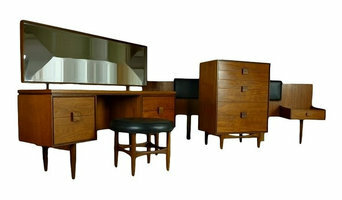 Whether you are in need of a complete revamp or just a helping hand, we are here to help. Contact us today to schedule your complimentary consultation to get you on the path to tranquility through an organized space. 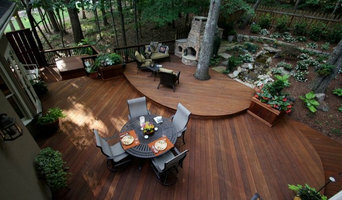 Custom Design/Build Landscape firm specializing in residential landscape remakes. Internationally acclaimed for our work. We do landscapes, hardscapes, irrigation systems, drainage systems, landscape lighting, water features, patios, decks, arbors and pergolas - just about everything to enhance the outside of your home. Elizabeth Coombs is the principal designer and founder of Modern Antiquity, an interior design firm that blends the classic and timeless elements of design with the new. The firm specializes in residential interiors and provides luxury, full-service design with attention to every detail. As a graduate of Mississippi State University’s College of Architecture, Art, & Design, Elizabeth brings a comprehensive knowledge of interior architecture and art to her design work. She is a member of the American Society of Interior Designers and is certified by the National Council for Interior Design Qualification, giving her the ability to design not just beautiful interiors, but practical and safe interiors as well. Elizabeth's work has been featured in numerous publications and she has received Best of Houzz Awards every year since 2013. Elizabeth recognizes that no two clients are ever alike, and each design is customized to fit the personal aesthetic, style, and needs of that particular home. These characteristics, coupled with her design experience working in some of the most desirable communities in the Washington, DC and Atlanta areas has given Elizabeth an extensive background that allows her to create graceful yet highly functional interiors. 10 Year Warranty on Every Project! Atlanta Interior & Exterior Painting Best of Houzz 2015, 2016, & 2017! We are specializing in all wood flooring projects, house renovation and remodeling. Need help with your project? Feel free to contact us @ (404) 600-9760. Stone Center is an exclusive stone distributor with an exotic selection of stones from around the world. We have a fine selection of Natural Stones; which includes: Granite, Marble, Soapstone, Quartzite. Also, we carry the best man made materials: Neolith (sintered stone), Compac Quartz and Vetrazzo (Recycled glass). 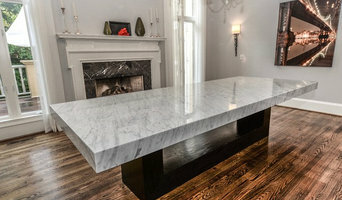 Stone Center is proud of being the exclusive distributor in Georgia for top brand stones such as Compac Quartz & Mirasol Soapstone being in the Metro Atlanta Area a the only Natural Stone Distributor that carries a high quality Engineered Quartz line as well as the biggest selection of Soapstone. Our extensive remnant selection allows you to find the perfect stone for your small projects. Whether your style is classic, contemporary, modern or traditional we know that you will find the perfect stone at Stone Center. Custom cedar board and batten and raised panel exterior shutters. Insidesign is a full-service design practice that specializes in residential interiors. Insidesign’s team of specialists in interiors, kitchens, baths, flooring, and architectural finishes creates highly personalized environments that fit the ways people live today. A resource for homeowners and builders alike, the Insidesign studio showcases inspiring vignettes that blend original design and skillfully crafted wood floors, doors, mouldings, and cabinetry. 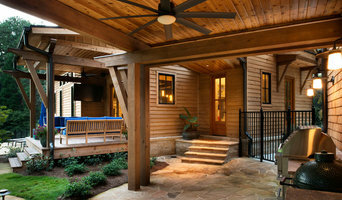 Whether consulting with the homeowner directly or collaborating with the builder, Insidesign brings lifestyles to life. First Street Builders is custom home builder creating new homes in established Atlanta neighborhoods, and re-building/remodeling older homes to give them the features owners now want in their homes, but keeping the irreplaceable character of a fine home built years ago. Our aim is to complement each neighborhood's character, value, and lifestyle while using the latest construction techniques and green building principals. First Street is a homebuilder that starts the process by listening to the client, the architect, the engineers and designer, to ensure that what gets built is what the client really desires and will enjoy for a lifetime. Founded, managed, and led by Pat Morgan, First Street Builders' goal is to see that every aspect of every home we build is executed to the very best of our God-given abilities.